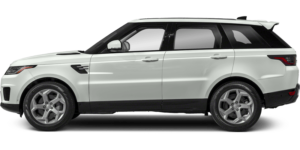 Land Rover Rancho Mirage proudly offers this beautiful Brand New 2019 Land Rover Range Rover Sport SE V6 Fuji White over an Ebony interior with 15 miles. The Range Rover Sport is powered by a 3.0L supercharged V6 engine producing 340 hp and 332 lb-ft of torque through Four-Wheel Drive and an 8-Speed Automatic Transmission. This Range Rover Sport is further enhanced with the following: Smartphone Pack (Android Auto, Apple CarPlay) Drive Pack (Blind Spot Monitor, Driver Condition Monitor, Traffic Sign Recognition & Adaptive Speed Limiter) Premium Interior Protection Package Ebony Morzine Headlining Cabin Air Ionization Car Care Kit CD/DVD Player Heated Windshield Dark Satin Brushed Aluminum Trim Finisher Land Rover Rancho Mirage is a member of the indiGO Auto Group. Our dealership features a beautiful Land Rover Corporate Identity showroom, fully staffed factory certified service center, parts department, finance department, detail department, and Land Rover accessories boutique. Allow us to also help arrange transportation of your new car directly to your home anywhere in the world. Trade-in proposals are always welcome. If you like this vehicle and have questions, simply call, email, or drop by our location at 71387 Highway 111, Rancho Mirage, CA 92270. We invite you to Activate Your Ownership with us today! Land Rover Rancho Mirage proudly offers this beautiful Brand New 2019 Land Rover Range Rover Sport SE V6 in Fuji White over an Almond/Espresso/Ivory interior with 38 miles. The Range Rover Sport is powered by a 3.0L supercharged V6 engine producing 380 hp and 332 lb-ft of torque through Four-Wheel Drive and an 8-Speed Automatic Transmission. This Range Rover Sport is further enhanced with the following: Smartphone Pack (Android Auto, Apple CarPlay) Drive Pack (Blind Spot Monitor, Driver Condition Monitor, Traffic Sign Recognition & Adaptive Speed Limiter) Premium Interior Protection Package Meridian Sound System – 380W Basic Rear Seat Convenience Pack Wheel Protection Pack – Chrome Locks Cabin Air Ionization Car Care Kit Heated Windshield Dark Satin Brushed Aluminum Trim Finisher Land Rover Rancho Mirage is a member of the indiGO Auto Group. Our dealership features a beautiful Land Rover Corporate Identity showroom, fully staffed factory certified service center, parts department, finance department, detail department, and Land Rover accessories boutique. Allow us to also help arrange transportation of your new car directly to your home anywhere in the world. Trade-in proposals are always welcome. If you like this vehicle and have questions, simply call, email, or drop by our location at 71387 Highway 111, Rancho Mirage, CA 92270. We invite you to Activate Your Ownership with us today! Land Rover Rancho Mirage proudly offers this beautiful Brand New 2019 Land Rover Range Rover Sport SE V6 in Narvik Black over an Ebony interior with 37 miles. The Range Rover Sport SE is powered by a 3.0L Supercharged V6 engine producing 340 hp and 332 lb-ft of torque through Four-Wheel Drive and an 8-Speed Automatic Transmission. This Range Rover Sport SE is further enhanced with the following: Smartphone Pack (Android Auto & Apple CarPlay) Drive Pack (Blind Spot Monitor, Driver Condition Monitor, Traffic Sign Recognition & Adaptive Speed Limiter) 20" 5 Spoke Style 5084 w/ Silver Finish Ebony Morzine Headlining Meridian Sound System – 380W Wheel Protection Pack – Chrome Locks Cabin Air Ionization Car Care Kit Heated Windshield Dark Satin Brushed Aluminum Trim Finisher CD/DVD Player Land Rover Rancho Mirage is a member of the indiGO Auto Group. Our dealership features a beautiful Land Rover Corporate Identity showroom, fully staffed factory certified service center, parts department, finance department, detail department, and Land Rover accessories boutique. Allow us to also help arrange transportation of your new car directly to your home anywhere in the world. Trade-in proposals are always welcome. If you like this vehicle and have questions, simply call, email, or drop by our location at 71387 Highway 111, Rancho Mirage, CA 92270. We invite you to Activate Your Ownership with us today! Land Rover Rancho Mirage proudly offers this beautiful Brand New 2019 Land Rover Range Rover Sport SE V6 in Narvik Black over an Ebony interior with 16 miles. The Range Rover Sport is powered by a 3.0L supercharged V6 engine producing 380 hp and 332 lb-ft of torque through Four-Wheel Drive and an 8-Speed Automatic Transmission. This Range Rover Sport is further enhanced with the following: Smartphone Pack (Android Auto, Apple CarPlay) Drive Pack (Blind Spot Monitor, Driver Condition Monitor, Traffic Sign Recognition & Adaptive Speed Limiter) 20" 5 Spoke-Style 5084 w/ Silver Finish Ebony Morzine Headlining Meridian Sound System – 380W Wheel Protection Pack – Chrome Locks Cabin Air Ionization Car Care Kit Heated Windshield Dark Satin Brushed Aluminum Trim Finisher CD/DVD Player Land Rover Rancho Mirage is a member of the indiGO Auto Group. Our dealership features a beautiful Land Rover Corporate Identity showroom, fully staffed factory certified service center, parts department, finance department, detail department, and Land Rover accessories boutique. Allow us to also help arrange transportation of your new car directly to your home anywhere in the world. Trade-in proposals are always welcome. If you like this vehicle and have questions, simply call, email, or drop by our location at 71387 Highway 111, Rancho Mirage, CA 92270. We invite you to Activate Your Ownership with us today! 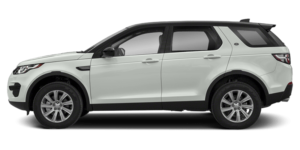 Land Rover Rancho Mirage proudly offers this beautiful Brand New 2019 Land Rover Range Rover Sport SE in Fuji White over an Ebony interior with 30 miles. The Range Rover Sport is powered by a 3.0L supercharged V6 engine producing 340 hp and 332 lb-ft of torque through Four-Wheel Drive and 8-Speed Automatic Transmission. This Range Rover Sport is further enhanced with the following: Smartphone Pack (Android Auto, Apple CarPlay) Drive Pack (Blind Spot Monitor, Driver Condition Monitor, Traffic Sign Recognition & Adaptive Speed Limiter) 2 Third Row Seats 20” 5 Spoke Style 5084 w/ Silver Finish Heated Front & Rear Seats Basic Rear Interior Protection & Storage Pack Ebony Morzine Headlining Meridian Sound System – 380W Wheel Protection Pack – Chrome Locks Domestic 110 Volt Power Socket Car Care Kit Dark Satin Brushed Aluminum Trim Finisher Tire Repair System CD/DVD Player Land Rover Rancho Mirage is a member of the indiGO Auto Group. Our dealership features a beautiful Land Rover Corporate Identity showroom, fully staffed factory certified service center, parts department, finance department, detail department, and Land Rover accessories boutique. Allow us to also help arrange transportation of your new car directly to your home anywhere in the world. Trade-in proposals are always welcome. If you like this vehicle and have questions, simply call, email, or drop by our location at 71387 Highway 111, Rancho Mirage, CA 92270. We invite you to Activate Your Ownership with us today! Land Rover Rancho Mirage proudly offers this beautiful Brand New 2019 Land Rover Range Rover Sport HSE in Blue over an Ivory/Ebony interior with 21 miles. The Range Rover Sport is powered by a 3.0L supercharged V6 engine producing 340 hp and 332 lb-ft of torque through Four-Wheel Drive and 8-Speed Automatic Transmission. 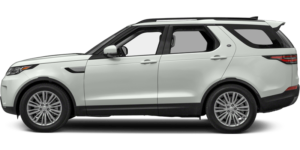 Land Rover Rancho Mirage is a member of the indiGO Auto Group. Our dealership features a beautiful Land Rover Corporate Identity showroom, fully staffed factory certified service center, parts department, finance department, detail department, and Land Rover accessories boutique. Allow us to also help arrange transportation of your new car directly to your home anywhere in the world. Trade-in proposals are always welcome. If you like this vehicle and have questions, simply call, email, or drop by our location at 71387 Highway 111, Rancho Mirage, CA 92270. We invite you to Activate Your Ownership with us today! Land Rover Rancho Mirage proudly offers this beautiful Brand New 2019 Land Rover Range Rover Sport Supercharged in Narvik Black over an Ebony interior with 16 miles. The Range Rover Sport Supercharged is powered by a 5.0L Supercharged V8 engine producing 518 hp and 461 lb-ft of torque through Four-Wheel Drive and an 8-Speed Automatic Transmission. Land Rover Rancho Mirage is a member of the indiGO Auto Group. Our dealership features a beautiful Land Rover Corporate Identity showroom, fully staffed factory certified service center, parts department, finance department, detail department, and Land Rover accessories boutique. Allow us to also help arrange transportation of your new car directly to your home anywhere in the world. Trade-in proposals are always welcome. If you like this vehicle and have questions, simply call, email, or drop by our location at 71387 Highway 111, Rancho Mirage, CA 92270. We invite you to Activate Your Ownership with us today! 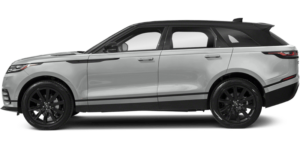 Land Rover Rancho Mirage proudly offers this beautiful Brand New 2019 Land Rover Range Rover Sport Supercharged in Indus Silver Metallic over an Eclipse/Ebony interior with 16 miles. The Range Rover Sport Supercharged is powered by a 5.0L supercharged V8 engine producing 510 hp and 461 lb-ft of torque through Four-Wheel Drive and an 8-Speed Automatic Transmission. 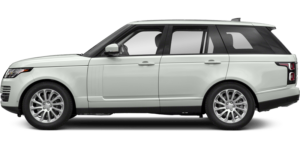 Land Rover Rancho Mirage is a member of the indiGO Auto Group. Our dealership features a beautiful Land Rover Corporate Identity showroom, fully staffed factory certified service center, parts department, finance department, detail department, and Land Rover accessories boutique. Allow us to also help arrange transportation of your new car directly to your home anywhere in the world. Trade-in proposals are always welcome. If you like this vehicle and have questions, simply call, email, or drop by our location at 71387 Highway 111, Rancho Mirage, CA 92270. We invite you to Activate Your Ownership with us today! Land Rover Rancho Mirage proudly offers this beautiful Brand New 2019 Land Rover Range Rover Sport Supercharged Dynamic in Narvik Black over an Ebony interior with 16 miles. The Range Rover Sport Supercharged is powered by a 5.0L supercharged V8 engine producing 518 hp and 461 lb-ft of torque through Four-Wheel Drive and an 8-Speed Automatic Transmission. This Range Rover Sport Supercharged is further enhanced with the following: Smartphone Pack (Android Auto, Appl CarPlay) Drive Pro Pack (Blind Spot Assist, Adaptive Cruise Control w/ Stop & Go, High Speed Emergency Braking, Lane Keep Assist) Climate Comfort Pack (Heated Steering Wheel, Twin-Blade Sunvisors w/ Illuminated Vanity Mirrors, Front Center Console Refrigerator Compartment, Four-Zone Climate Control) Vision Assist Pack (Auto High Beam Assist, Configurable Ambient Interior Lighting, Head-Up Display) 8" Rear Seat Entertainment (CD/DVD Player not Included) 21" 5 Split-Spoke Style 5007 w/ Black Diamond Turned Finish Heated & Cooled Front & Rear Seats Meridian Surround Sound System – 825W Soft Door Close Ebony Morzine Headlining Cabin Air Ionization Car Care Kit 16-Way Memory Dynamic Front Seats w/ Winged Headrests CD/DVD Player Heated Windshield Dark Grey Oak Veneer Land Rover Rancho Mirage is a member of the indiGO Auto Group. Our dealership features a beautiful Land Rover Corporate Identity showroom, fully staffed factory certified service center, parts department, finance department, detail department, and Land Rover accessories boutique. Allow us to help arrange transportation of your new car directly to your home anywhere in the world. Trade-in proposals are always welcome. If you like this vehicle and have questions, simply call, email, or drop by our location at 71387 Highway 111, Rancho Mirage, CA 92270. We invite you to Activate Your Ownership with us today! 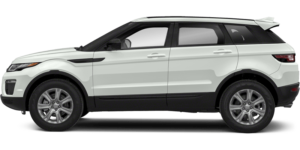 Land Rover Rancho Mirage proudly offers this beautiful Brand New 2019 Land Rover Range Rover Sport Supercharged Dynamic in Yulong White Metallic over an Ivory/Ebony interior with 15 miles. The Range Rover Sport Supercharged is powered by a 5.0L supercharged V8 engine producing 518 hp and 461 lb-ft of torque through Four-Wheel Drive and an 8-Speed Automatic Transmission. This Range Rover Sport Supercharged is further enhanced with the following: Smartphone Pack (Android Auto, Appl CarPlay) Driver Assist Pack (Blind Spot Assist, Adaptive Cruise Control w/ Steering Assist, High Speed Emergency Braking, Lane Keep Assist, Park Assist) Vision Assist Pack (Auto High Beam Assist, Configurable Ambient Interior Lighting, Head-Up Display) 8" Rear Seat Entertainment (CD/DVD Player not Included) 21" 5 Split-Spoke Style 5007 w/ Black Diamond Turned Finish Meridian Surround Sound System – 825W Exterior Protection Heated & Cooled Front & Rear Seats Yulong White Premium Interior Protection Package Ebony Morzine Headlining Heated Steering Wheel Basic Rear Seat Convenience Pack Wheel Protection Pack – Chrome Locks Cabin Air Ionization Car Care Kit 16-Way Memory Dynamic Front Seats w/ Winged Headrests Heated Windshield Front Center Console Cooler Compartment Dark Grey Oak Veneer Land Rover Rancho Mirage is a member of the indiGO Auto Group. Our dealership features a beautiful Land Rover Corporate Identity showroom, fully staffed factory certified service center, parts department, finance department, detail department, and Land Rover accessories boutique. Allow us to help arrange transportation of your new car directly to your home anywhere in the world. Trade-in proposals are always welcome. If you like this vehicle and have questions, simply call, email, or drop by our location at 71387 Highway 111, Rancho Mirage, CA 92270. We invite you to Activate Your Ownership with us today! Land Rover Rancho Mirage proudly offers this beautiful Brand New 2019 Land Rover Range Rover Sport Autobiography in Santorin Black Metallic over an Ebony interior with 17 miles. The Range Rover Sport Autobiography is powered by a 5.0L supercharged V8 engine producing 518 hp and 461 lb-ft of torque through Four-Wheel Drive and an 8-Speed Automatic Transmission. This Range Rover Sport Autobiography is further enhanced with the following: Smartphone Pack (Android Auto & Apple CarPlay) Drive Pro Pack (Blind Spot Assist, Adaptive Cruise Control w/ Stop & Go, High-Speed Emergency Braking, Lane Keep Assist) Extended Carbon Fiber Trim Finisher Exterior Protection Santorini Black Premium Interior Protection Package Ebony Morzine Headlining Basic Rear Seat Convenience Pack Wheel Protection Pack – Chrome Locks Cabin Air Ionization Car Care Kit CD/DVD Player 21" 5 Split-Spoke Style 5007 w/ Silver Finish Heated Windshield Front Center Console Cooler Compartment Body Colored Roof Land Rover Rancho Mirage is a member of the indiGO Auto Group. Our dealership features a beautiful Land Rover Corporate Identity showroom, fully staffed factory certified service center, parts department, finance department, detail department, and Land Rover accessories boutique. Allow us to help arrange transportation of your new car directly to your home anywhere in the world. Trade-in proposals are always welcome. If you like this vehicle and have questions, simply call, email, or drop by our location at 71387 Highway 111, Rancho Mirage, CA 92270. We invite you to Activate Your Ownership with us today!